The study will appear online June 11 in the journal Frontiers in Ecology and the Environment, and its authors believe it is the most comprehensive look at the environmental impacts of different types of animal protein production. "From the consumer's standpoint, choice matters," said lead author Ray Hilborn, a University of Washington professor in the School of Aquatic and Fishery Sciences. "If you're an environmentalist, what you eat makes a difference. We found there are obvious good choices, and really obvious bad choices." 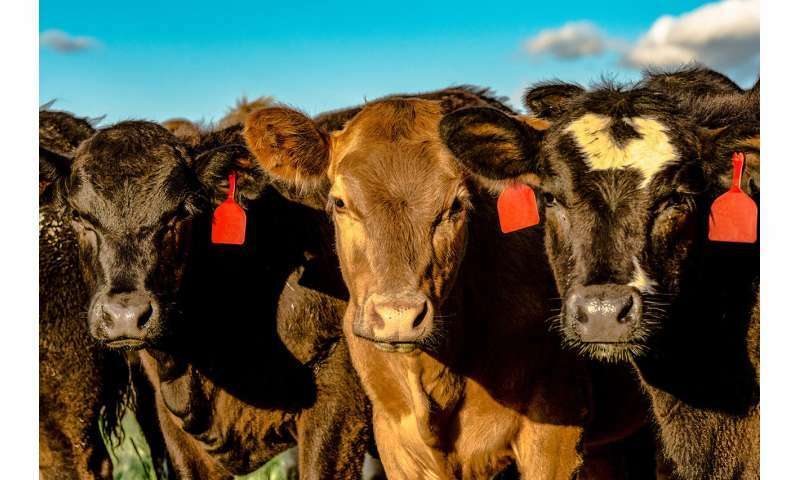 The study is based on nearly a decade of analysis, in which the co-authors reviewed hundreds of published life-cycle assessments for various types of animal protein production. Also called a "cradle-to-grave" analysis, these assessments look at environmental impacts associated with all stages of a product's life. Of the more than 300 such assessments that exist for animal food production, the authors selected 148 that were comprehensive and not considered too "boutique," or specialized, to inform their new study. As decisions are made about how food production expands through agricultural policies, trade agreements and environmental regulations, the authors note a "pressing need" for systematic comparisons of environmental costs across animal food types. Broadly, the study uses four metrics as a way to compare environmental impacts across the many different types of animal food production, including farm-raised seafood (called aquaculture), livestock farming and seafood caught in the wild. The four measures are: energy use, greenhouse gas emissions, potential to contribute excess nutrients—such as fertilizer—to the environment, and the potential to emit substances that contribute to acid rain. The researchers compared environmental impacts across food types by using a standard amount of 40 grams of protein—roughly the size of an average hamburger patty, and the daily recommended protein serving. For example, they calculated how much greenhouse gas was produced per 40 grams of protein across all food types, where data were available. Mollusk aquaculture—such as oysters, mussels and scallops—actually absorb excess nutrients that are harmful to ecosystems. In contrast, livestock beef production rated poorly in this measure, and capture fisheries consistently scored better than aquaculture and livestock because no fertilizer is used. Steak is much better for you than Tofu. And tastes better too. There are too many other places to get benefits before attacking our food. This kind of approach is so lame with miles of benefits can be obtained elsewhere with less impact on quality of life. Its the one thing they always ignore lets make life tough for the environment sake. Bah. The American farmer puts more NOX in the atmosphere than all the power plants in America combined, No talk of changing that is there? Uh, yeah, that's the point of the article. Changing our food supply would change the way farmers farm. So you're of the opinion that reasonable people who want to preserve Earth's habitability are pointedly ignoring big improvements that can be made without sacrifice, right? Why would they do that, and why do you believe that is so? We're getting closer to developing cheap and plentiful, not to mention nutritious, artifical beef so everyone is a winner okay? Less acid rain, less run-off, we can the leave the got-damn fish alone, and give the earth a break. Porgie, are those benefits in Roman, nautical or statute miles? Or did you just pull it out of your methane producer?